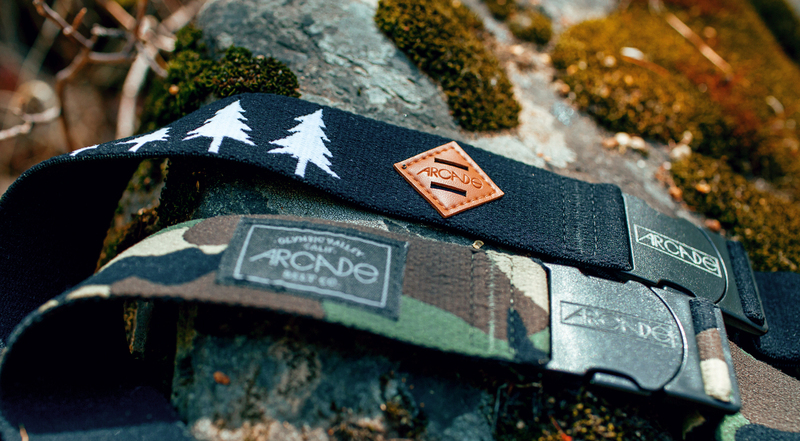 Perfect for any outdoor adventure, stretchy, hip and durable, Arcades Belts Co. conjures up a world in which no waist is uncomfortable. I struggle to find the words that would sound genuine because what I have to say probably sounds a bit over the top. I wasn’t expecting anything out of this world when I slipped on my Arcade Belt for the first time. In fact, with it being light weight and stretchy, I was slightly worried it wouldn’t do the trick for me. I was dead wrong. Where’d my belt go? I almost didn’t believe I had it on. I quickly found that this belt turns every pant you own into a supremely comfortable version of that pant. It’s almost as though your pants died and went to some sort of trouser-Valhalla. Your waist is free to do as it wishes. The slight stretch built in to the Arcade Belt gives it more comfort than any other belt I own. Bending over, moving around, I never feel like the belt cuts into my gut. It also gives it a bit more secure feeling, hugging your waist without being uncomfortable. Adjustments can be done quickly too. Even though the excess belts hides on the inner portion, (rather than outside, needing to be tucked into a belt loop, like most other belts) making it tighter, or looser, is easy. Just pull… During my quick few days with the Arcade Belt, I never felt like it was too loose or too tight. 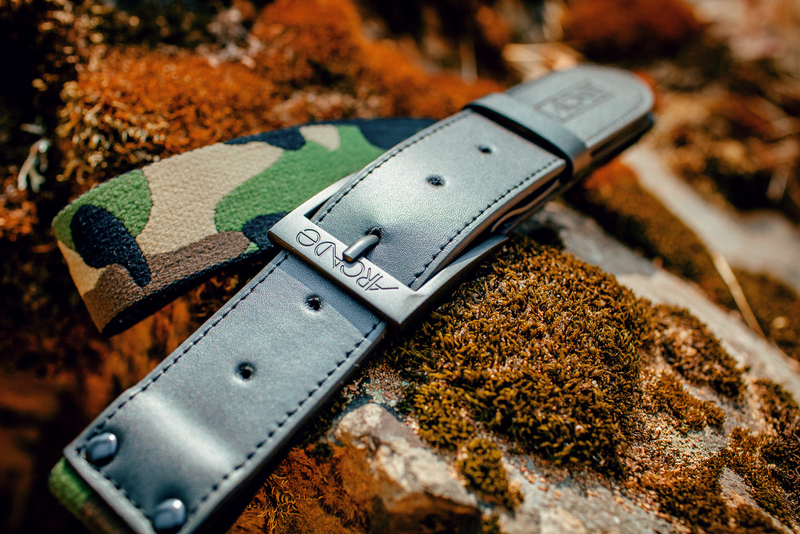 If you don’t like a plastic click-style clasp, there’s always the more traditional Hybrid belt, with sturdy metal pin & hole adjuster and weather resistant leather. I’m still keen on the plastic clasps, but it is nice to know these guys cater to more than one group. I had one minor complaint and at that it probably isn’t worth mentioning. The belt doesn’t exactly slip into your belt loops and out. Due to the nature of the stretch and soft material, I found it got temporarily stuck on each loop. This isn’t a big deal, just something to think about if you need to switch belts quickly in an emergency. That never happens in real life, so forget I said anything. With almost 40 unique prints and styles, it’s hard to choose one you wouldn’t like. I’ve even heard that more designs are coming in Fall of this year, fingers crossed they come out with a Swedish flag design. They don’t break the bank either; I found the cheapest in the line-up coming in at $24. The most expensive? A mere $32. Small price to pay for comfort and good looks. 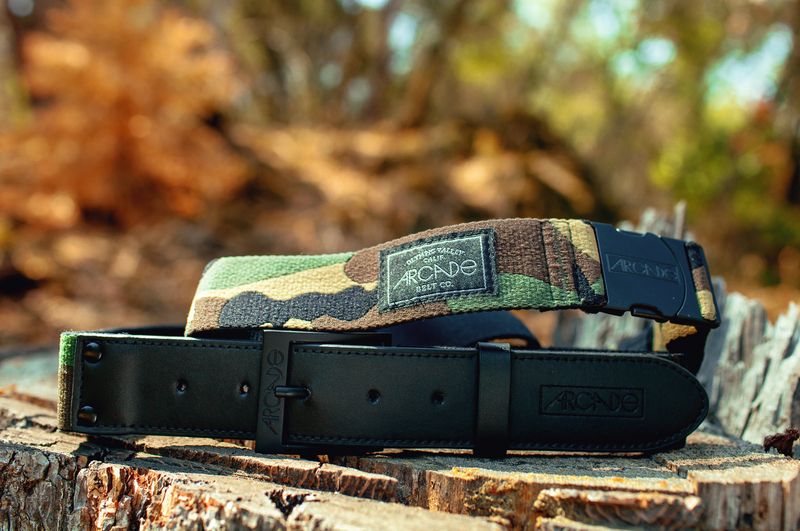 Check out Arcade Belts Co. for more awesome colors and styles. Disclosure: I received this product from Arcade Belts Co. for the purposes of review. All opinions are my own and truthful. Your comments are not over the top at all. I completely share your sentiments. I was blown away at how comfortable my Midnighter was the first time I wore them, too. 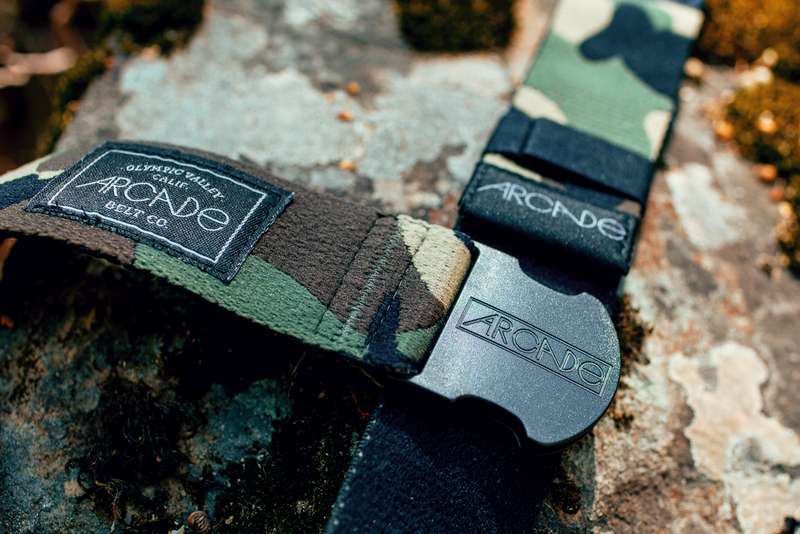 Arcade belts are fantastic! It’s like putting a garter on each and every pair of pants I own!